DobryGuard over aux, hyd fittings is dented. Machine has a back up camera, which should be adjusted. NiezłyHose hold down on left rear loader arm is missing. MACHINE IS FAIRLY WORN WITH METAL SHAVINGS, WILL NEED A SOLID CLEANING & NEED TO REPLACE ALTERNATOR. 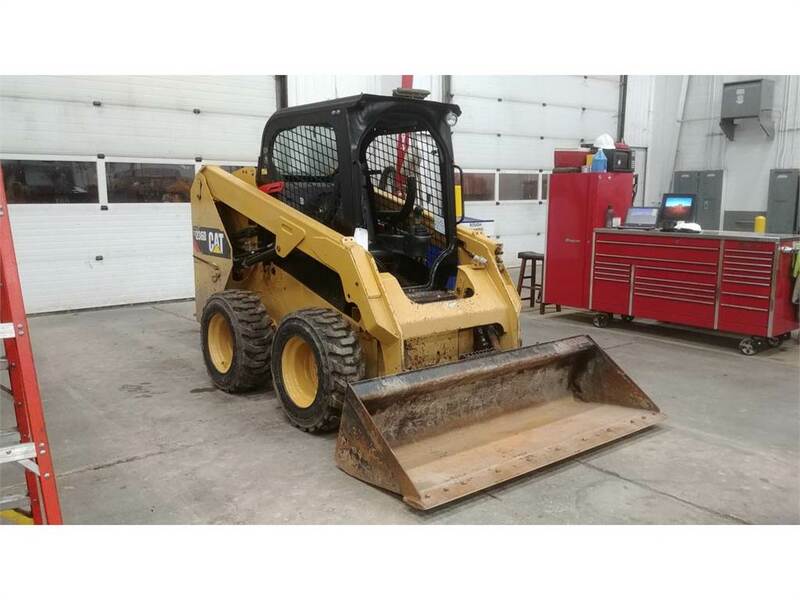 MINIMUM ITEMS: 250 SVC, CLEANING, REPAIR/REPLACE REAR DOOR LATCH, TROUBLESHOOT SEAT SWITCH & REPLACE ALTERNATOR.